10. Apply specified torque to clamp ring setscrew (fig. 13-21). Computer Control Group Installation Install the computer control group (CCG) as follows: 1. Visually inspect CCG for physical damage. 2. 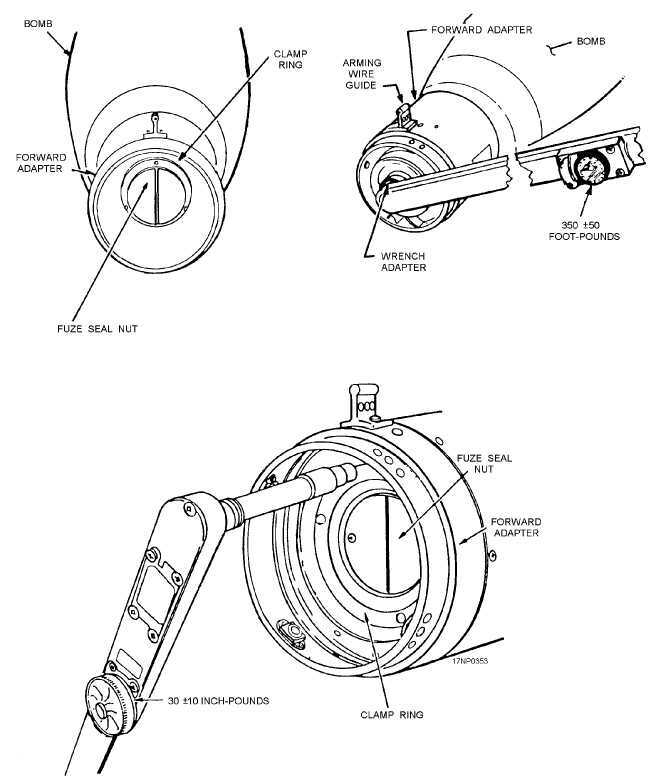 Ensure thermal battery firing pin assembly safety wire and pullout pin is installed (fig. 13-22). 3. Ensure control section seal is installed. 13-20 Figure 13-21.Clamp ring installation.